Fifth-generation FORPHEUS demonstrates core OMRON technologies, including sensing, control, artificial intelligence, machine learning and robotics as expressed in OMRON’s core technology “Sensing & Control + Think.” He now has an expanded range of movement, enhanced people and ball-sensing & prediction and more AI-powered personalized coaching skills. FORPHEUS has a high-speed, multi-axis robotic arm that behaves like a human elbow and wrist, which allows him to emulate human movement and put topspin and backspin on shots. FORPHEUS is equipped with a four-camera system, plus a high-speed image processing camera to simultaneously sense player form and skill, position and speed of the racket and the ball’s trajectory. Two cameras sense the ball, two cameras sense player behaviour and the high-speed camera senses the racket. FORPHEUS AI senses a player’s movement and analyses the data to compare the player’s form and skill to that of a professional player to provide personalized coaching. The Factory Harmony exhibit features pick and place technology, laser engraving, mobile robots and collaborative robots working under human guidance to customize a product. 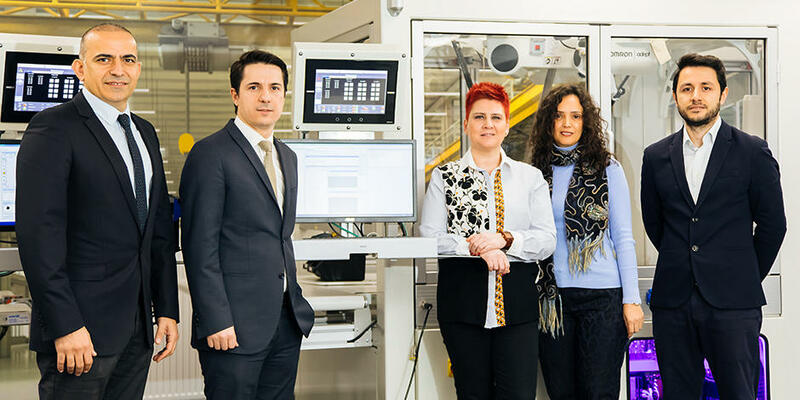 OMRON Pick and Place automation demonstrates the potential for machines to manage fine detail work with speed and accuracy. It displays real-time production data and identifies any production bottle necks. OMRON’s AI-equipped controller benefits from human input, which helps develop the machine’s intelligence and awareness. 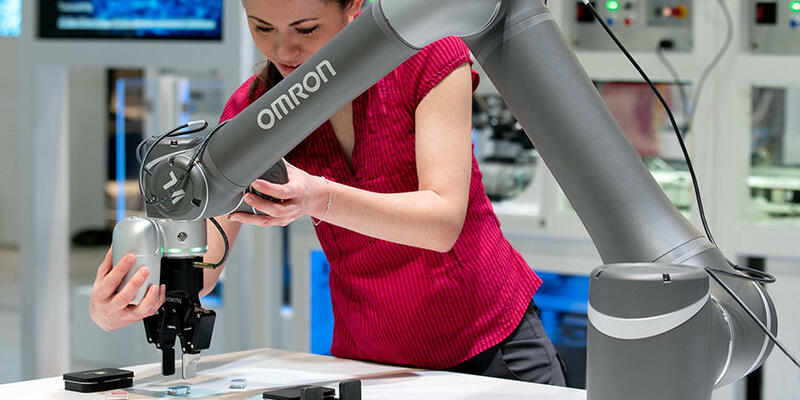 OMRON mobile robots create flexibility in manufacturing lines, meeting the growing demand for product transfer customization without reconfiguring an entire equipment line. Humans can work safely side-by-side and interact with OMRON collaborative and mobile robots, which understand physical conditions and adapt to worker needs. 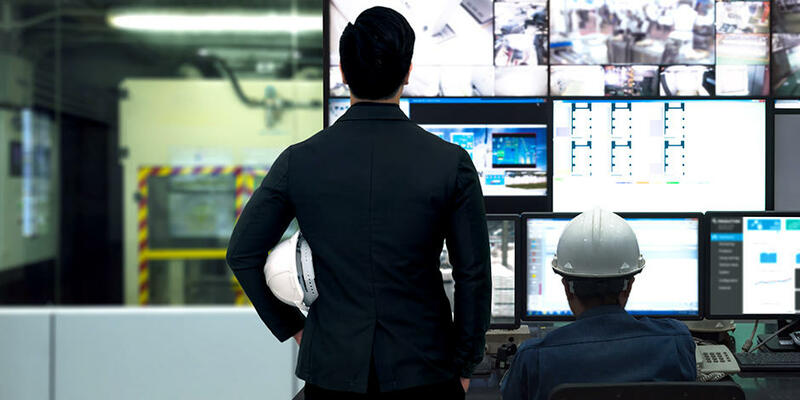 Factory Harmony demonstrates how humans and machines can work together to meet the demands of modern manufacturing, including flexibility and customization, traceability of products and a higher standard of worker safety. 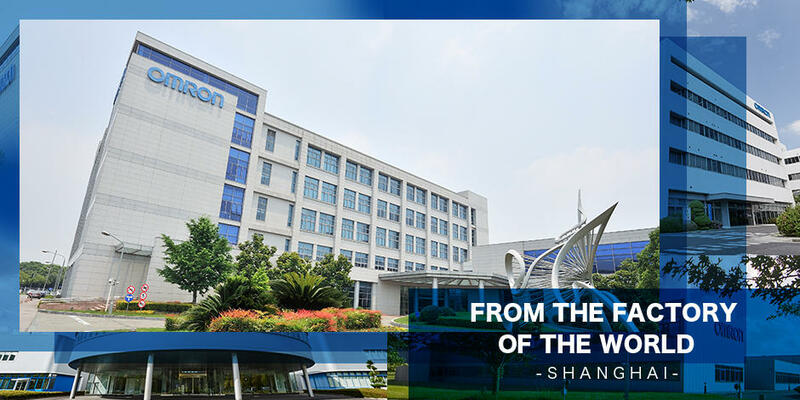 As an industrial automation pioneer, OMRON promotes technological innovation in manufacturing to meet and exceed quality, safety, and environmental requirements around the globe. OMRON's spectrum of healthcare equipment and solutions, ranging from digital blood pressure monitors and asthma nebulizers to low frequency therapeutics, addresses key medical challenges to improve your quality of life. We are focused on improving transportation systems to make the world a safer and more environmentally friendly place. Zero accidents. Zero traffic congestion. We provide a diverse range of seamless transportation and infrastructure solutions such as automated ticketing gates and traffic control systems, bringing you maximum comfort and convenience in everyday life. Our environmentally friendly energy management solutions are designed to provide affordable, stable, sustainable energy sources worldwide. We pride ourselves in high-performance mechanical components found in everyday consumer devices and electronics.